Trump vs Pelosi/Schumer: How the shutdown has affected America. On December 22nd 2018 the US Government, at an impasse over the federal budget, shut down for the second time in the space of a year. 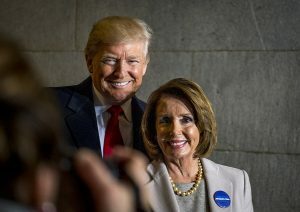 The shutdown that would last until January 25th 2019 was the product of a dispute between President Donald Trump and Democratic House and Senate leaders Nancy Pelosi and Chuck Schumer. 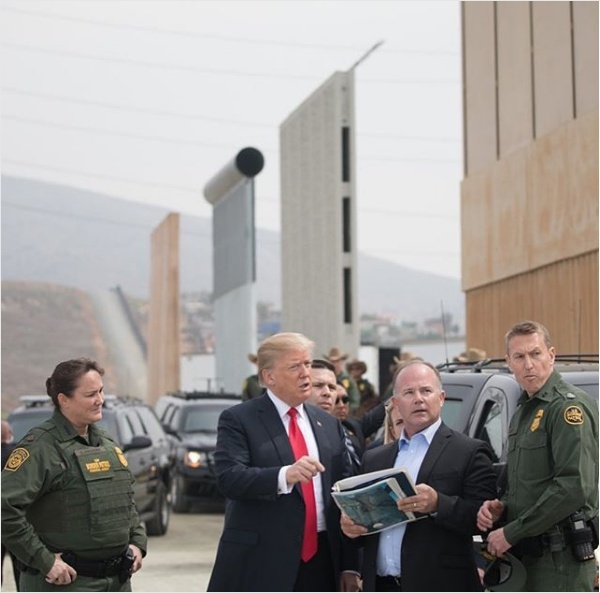 The Democrats remain staunchly opposed to the wall, which they have condemned since President Trump first referred to such an element of border security prior to his election in 2016. Indeed, despite a temporary budget for the wall being agreed in the Republican-controlled Congress prior to the New Year, the Democrats immediately opposed this when they regained their control of the house on January 3rd. The shutdown, which the President blamed on the Democrats and vice versa led to senior Republicans such as Senator Lindsey Graham urging the President to come to a temporary solution to the problem as to let the impasse end. Mr Graham believed that opening government would allow for negotiations to progress between the House and the President. 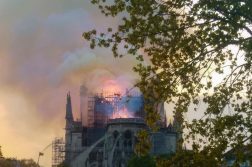 However, this was marred by threats from President Trump, who has stated that he is prepared to circumvent Congress in gaining the funds he wants for border security. The shutdown, which became the longest in US history on January 12th, and its threat to the US economic and social welfare has been made evident throughout the course of the impasse. It has gone on to affect airlines such as Delta, who are predicted to have lost 25% of its revenue with fewer government contractors and organisers flying due to their own lack of funding. On January 16th, the New York Times released statistics that the average government employee has lost out on at least $5000 of unpaid wages, with this figure due to rise because of the lack of a solution. Indeed, further data shows that the average employee working for the Securities and Exchange Commission could have lost more than $12000. Sectors such as the Department of Homeland Security, now owe over $1 Billion to over 245 thousand workers. Despite gestures of goodwill from Canadian air traffic control as well as former US President George W Bush who brought food to unpaid workers, who hadn’t been put on mandatory leave, the shutdown has enforced a strain on certain social aspects. 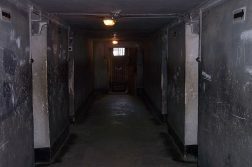 Indeed, the cuts to the prison system have left many workers feeling at risk from the inmates, as they cannot strike yet are forced to work in environments that can no longer fund the security measures that keep themselves and the inmates safe. Eric Young, a prison officer and union rep spoke to the BBC and made clear that as prison staffs are the lowest paid form of government law-enforcement, they have little choice but to turn up for work. A further breakdown in relations intensified prior to the two sides finding a solution. This was initiated by Mrs Pelosi requesting that the President submit his ‘State of the Union’ address in writing, calling on him to postpone making his speech before Congress. The President responded by cancelling a delegation of Democrats, including Mrs Pelosi, to Afghanistan by denying them access to military aircraft. The White House claims this was a bid to ensure Mrs Pelosi remained available to negotiate a solution, echoed in a tweet by the President, who questioned the House Leader’s decision to leave the country in the middle of the shutdown. However, the Democrats have claimed that by denying them access to the correct aircraft, Mr Trump put their safety at risk by revealing their flight plans. The animosity, however, has been further developed by the refusal of the Democrats to incorporate certain compromises made by President Trump surrounding border security. Mr Trump, in his bid to end the shutdown, made concessions surrounding the ‘Dreamers’, a term used for migrants who entered the US illegally as children. They are currently protected by a scheme that allows them to work in the US but does not provide citizenship. The President had been attempting to revoke the scheme but in trying to find common ground with the Democrats, promised to extend the period that they would be allowed to look for work. This move was, however, rejected by the Democrats. 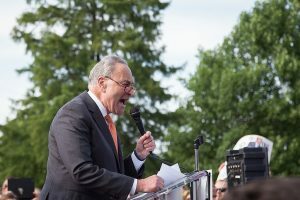 Senate Minority leader Schumer branded the President’s proposals as ‘hostage-taking’ citing his prior indications of revoking the scheme thus expelling some 700,000 people as estimated by the BBC. The President, on the rejection of his compromise, went on the offensive, remarking that the Democrats had refused the deal before he had even put it on the table. However, on January 25th, the President announced that he had agreed on a deal with the Democrats to fund the government until February 15th. This deal would allow Federal Agencies to re-open but would not supply the money the President demanded to be provided for his border wall. 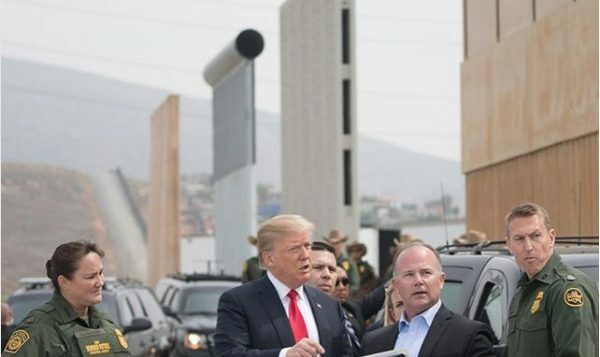 The US Media such as the New York Times and even the conservative Fox News portrayed the incident as a defeat for Mr Trump, who remains adamant that the border wall with Mexico will be built and any deal he has made with the Democrats is not in his own mind a political concession.